On this page some essential practices will be given freely, for you all to use. These are simple and easy to learn, but nevertheless essential to stay in balance in your energy. When used long enough, you will start to feel the effect of these practices in your daily life. I have had years of experience with meditation, connecting to guides and working with energies, feeling them and seeing them. Through working with guides and implementing these practices, we merged our efforts and they gave also some beautiful, but essential energies, flowing from our heart, for you all to start working with. Now whether they come from Starfamily or guides it does not matter, would you should remember that it is the simplicity of the energies at work are also the most hard to get into. Why, you might ask? Well it is because most fear to go into their hearts and that is exactly needed to flow into, to use our heart's energy again, our core and center, for balance and strengthening our auric field. Now with this being said, great things can happen, I would more like to say, Amazing things can happen from withIN, so I will take you on a little transcendent journey I made to what I still call, the Omnipresence, or if you will, Source. I will not give all the details of the transcendent journey, out of body, but it was made outside of the Universes, but will speak of this One important part. It started through the Heart portal, which connects to ALL, even Omnipresence. We all are are like Omnipresence, not matter what physical shape we may see, all energy forms are like IT, which showed itself like a huge Golden Apple or Egg, or even a Circle geometry, shining pure White Golden, like we all are ourselves, sparks of it, like small versions of it, small versions in soul, or energy form, who are sparks of its form. This spark or soul lies within your heart, for all Life begins within your Core of your Heart, like an Egg. The field is like a Golden Apple, or donut shape as some love to call it. This golden field works like a perpetual flowing machine. We call it aura, but in a bigger perspective, as you my have read in the Channelings section, it is the field of the feminine, the protective Shield, joined as One with the Father spark from within. So to answer the everlasting question Earthlings seem to love, of which came first, the chicken or the egg, the answer IS: they both are there at the same time, for they never were separated to begin with, as Mother and Father are One, always have been and always will be. Let us wait when science "discovers" this One. Protection of the Mother Shield, Sparkling from the Father within, Life Being as One. Human form is of this same nature, Being Life of both, joined as One Unity. Or as the Egyptians knew it, the dot in the Center and the Circle around it, Unity! Within this Unity dot/circle, flow sacred forms the Flower of Life and the endless, or infinite, Spiral flow, which is nothing more than the everlasting flow of the Mother/Father energies. Remember this Golden Apple, a teaching coming from the sacred blue Lodge of the feminine energy of the Lion Beings of Sirius. The Christed Ones knew this energy, like the Melchizedeks, as they were seen in the old days with a golden energy around their bodies, sometimes only their heads, because it came from withIN themselves, to be precise, their Hearts Core. IN the old days, the Christed One often spoke of this Heart knowing. Here are some simple practices to start your day with or which you can use to extend your meditations with. I will give you three important ones. This is a small introduction of beginning to work with ones Heart Core energy. It is an instant uplifting of your energy level and helps to make a better connection to your (inner) heart and its connected chakras again! We ask you now to bring your vibrational feeling and Being into your heart. 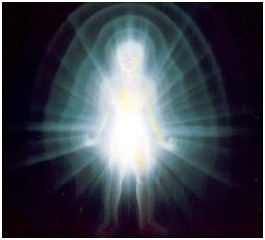 Feel your inner heart starting to bring forth, or create, a bright white Light. See it as a little white light at first small and then growing and growing. When it has reach enough mass to become a proper ball of Light energy, then bring it into readiness to blow it outward, like an exploding array of Light, expanding in all directions. Bring Light from your Heart / source, into and right through your emotional scale (=the emotional body) of your cocoon of Light (=the Aura). We would like you to envision your emotions (attached in your emotional body) getting filled with Light particles (photonic particles) of energy, flowing outward from your Heart/Source, which is your own Star and Center of Love. All should envision this now. Hold your Light stream steady for about 3 minutes and keep sending Light from your Heart / source, pour Light outward in all directions and after 3 minutes stop and go to your Heart / source again. When you are ready focus only on your Heart again. Hold this Love and Light with you ALL the time, dear souls. It is your REAL YOU. BE your Star. End of practice. Now BE, YOUR Light. YOUR Sun. YOUR Star...."
The second practice is Essential for working with both energies known on Earth, the old template energies of the Mother and the Father, before we add the focus of the third energy of the Heart, and merge these energies into One flow. So here is the second practice before you go on to the third one. We first go back to the old template meditation stuff, which some may know in a slightly different version, so it may seem familiar, therefore making it an easy step going towards the next and third one. 2. Practice on how to connect to Sacred Mother (the Womb, or Cradle) and the Divine Father (or Great Central Sun). Learning how to work with the Mother and the Father energy. As an introduction on the other practices I will give you this one is a need to know and all should be able to work with this. I will give the old 3D connection method, which is connecting to new the Crystalline grid of Mother Earth. It will suffice. Mother has already created this new grid for us and together with the new energies that have been coming in from Father and us Being here on Earth has created a new crystalline form for us to, connected to our watery physical bodies. Water conducts energy superfast. The water will easily connected with the energies going through the new internal crystalline energetic body. This crystalline form will in its form, easily connect to that new Earth grid and therefore to Mother (Gaia). The energy of the Mother works through the Earth Center (the lower chakra’s connected to your Earth Stars) with the Crystalline grid of Mother. 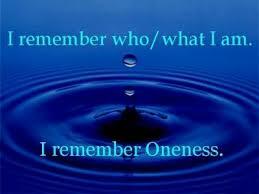 Visualize that your Essence and Being is in your Heart Center. Feel in that Center, Feel yourself BE-ing there…and FEEL your Love for Mother Earth, in your Center. A warm gentle and caring Love which you feel for her NOW. Next, when you feel that that Love IS grown to a point when you need to send it to her, send an energy beam, through your Lower chakra’s (Solar Plexus, Sacral and Root chakra), from the root chakra, then towards your Earth Star, which is below your feet and not in the nearness of your physical body, see it clearly below both your feet, one bright Star below your feet, then from there, send it toward the inner Center of Earth, towards the Crystalline core of Mother Gaia. When you have send that energy of Love from your Heart to her, towards her core, she will always know how to receive it from you, then you wait for her to answer back to you. When communicating, one has to set up a telephone line, dial and wait for the other end to answer back. When you feel see has answered back your call, believe me, you will feel it when she does, because she is a living Being, like you and me, it means she will give it to you in any form she feels you will recognize it. Mother is like you and me an energy form and a physical body. This answering back to you, means, that it will be in many forms, in the form of an image, a feeling, a vision, you will know and feel it, when you receive it, it will be made for you. She will connect and react to your own crystalline form. Trust that she can. And also that you can…Trust and feeling together is needed here…use your finest energetic threads to feel and know. From Lao Zhu aspect: As above, so below, but from Center, comes the flow. Through Union becomes harmony, Centeredness IS. Do this practice whenever you feel the need for it. Now we go on to the last One where we expand the breathing of both energies into Oneness, IN our Hearts. some enhancements made and explanation given by myself. For those who have not done a Mother and a Father connection before, we have in HUG a document and introduction on how to do it the old way. To work with the Merger Ball practice One has to know how to do this. After you have learned and feel that you know that practice, you can more easily use this practice because one glides more into it with previously learned knowledge. Never work to fast when doing spiritual stuff… All in divine time. In remembrance of our Earlier communications we ask All of you NOW, to gather strength from Mother and Father and rejoin these energies where they meet In the middle…Many know how to connect to Mother and or Father, we ask All to connect to both and then balance both energies within your LHV, which is your Heart, your true Center. Draw and flow both energies, of the Mother and of the Father, of the above and the below, into your Hearts Center, Feel these pure energies mixing in your Heart’s Center and merging All together into pureness of Source and with Source. A true ball of energy within should arise when this merger is done. When this sparkling ball IS, SEE this clearly within your heart, blow it up around your aura dear Ones (which is the lowest dense part, of about 1 or 1,5 meter all around you). Envision a beautiful color White around you. A crystal clear white ball around you. It is vitalizing energy, for healing, uplifting lower energies and regenerational purpose. Practice this on a daily basis or when you feel it is needed. End of visualization. If you find something you do not see, feel or understand. Just ask me by pressing the button below. Good luck with this practices and exercises. I will in future put a few other practices on line, but as in the past I will use the HUG group for assisting its members in using practices for themselves and for teaching others. These practices are merely easy introductions into energy work and healing for yourself. Use them wisely and heartedly. If you need personal teaching, or help from me via email, simply press the Button below and email me, or request personal training. All practices may be used by anyone for their own use, but do not claim this as your own, so respect us, by giving credit to the guides, this website and its owner, or mention us in a loving hearted way. Truth comes from respecting others, as we respect our own being and selves. Knowledge is Universal and comes from Source, its cosmos, its dimensions, so we do not own anything, we simply exist to share it and use it to progress ourselves, others and the Universes and its dimensions. That is the hearted way.